The South-East of Nigeria is indeed a laboratory of willful neglect by the Nigerian state. But the zone’s deeper crisis, I suggest, is the wretched leadership acumen exhibited by most of its leaders, with the loquacious Okorocha exemplifying that malaise. I believe that the frenzied quest by disaffected Igbo youth for Biafra represents, above all, an indictment of the kind of leaders who for close to twenty years have run the affairs of the South-Eastern states. Those agitating for Biafra often make a case that the Igbo are marginalised in the affairs of Nigeria. That may well be true, especially when the criterion is the presence and quality of federal projects in the five South-East states. For me, however, a more critical factor has to do with the lack of imagination by the zone’s political and entrepreneurial elite. Governor Rochas Okorocha of Imo State has emerged as a particularly interesting political figure, embodying and epitomising the crisis of leadership in Igboland. Part of the governor’s mystique lies in what appears to be his insatiable desire to be in the limelight, whether for a good or negative cause. Last August, Mr. Okorocha—who was behind in paying state employees and pensioners—directed that public workers would work Monday to Wednesday, reserving Thursday and Friday for farmwork. He said, “Everybody must go back to agriculture. Every political appointee must own a farm. The youths would also be encouraged to take to agriculture. Schools including universities, polytechnics and secondary schools in the state must own farms. The Community Government Council (CGC) must be strengthened for the sake of this agricultural programme.” The novelty of the policy guaranteed wide publicity for Governor Okorocha. But if the governor expected praise for foresight, he was mistaken. State workers defied the policy. And critics, including lawyers and labor union leaders, questioned the legality of the policy. 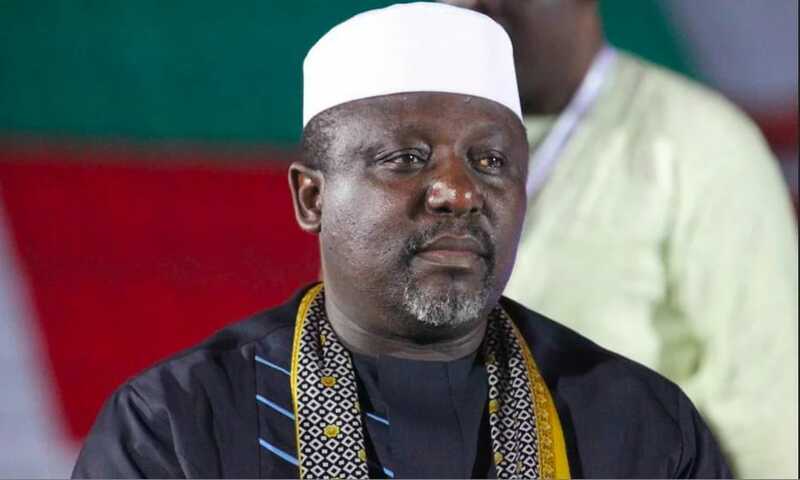 In December, Mr. Okorocha—speaking through the Deputy Speaker of the Imo State Assembly, Ugonna Ozurigbo—said Igbo leaders were to blame for failing to attract “democratic dividends” to the South-East zone. According to a news report, the governor’s assertion was a response to “complaints by stakeholders in Ebonyi that they were being schemed out of [the] Federal Government’s employment and empowerment programmes.” Governor Okorocha said the responsibility for their exclusion lay with Igbo appointees in President Buhari’s administration. Without question, some of those appointees must have wondered why the governor would turn accuser, at once portraying them as laggards and (implicitly at least) absolving himself of any blame. Governor Okorocha and other South-East governors would do well to borrow the example of their South-West counterparts. They ought to pool their resources and invest in developing critical transport, power and agricultural sectors. That way, they would ameliorate the forlorn condition that fuels our youth’s mistaken faith in Biafra as the answer to the disaster of Nigeria. ‘We have been marginalised both in terms of projects and appointments. In Imo State, for instance, all we have is a minister of state to show for all the efforts and extreme sacrifices we made to ensure that the All Progressive Congress (APC) had a good outing in the last general elections. ‘I know you are the Acting President and [have] the ears of the President. So, there is no better person to tell our painful story than you. You need to take a second look at what is happening in the Southeast. No serious political appointment, no visible federal infrastructure so far, to show the presence of Federal Government in the southeast in general.